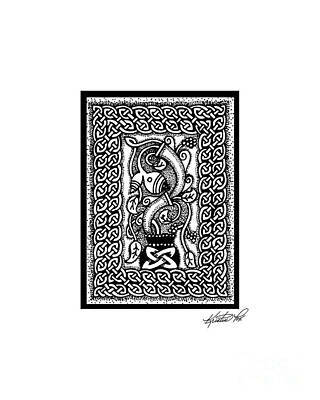 Artist Trading Cards (ATC's) are mini works of art that measure 2.5 inches by 3.5 inches, or the size of a baseball card. 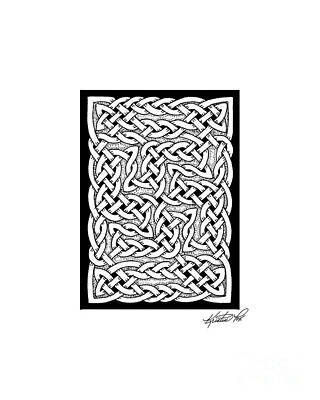 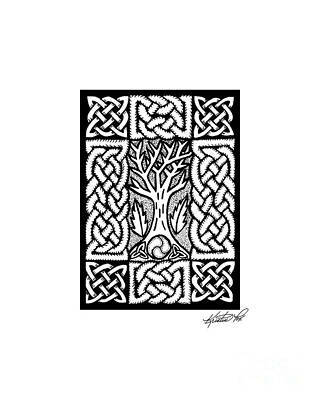 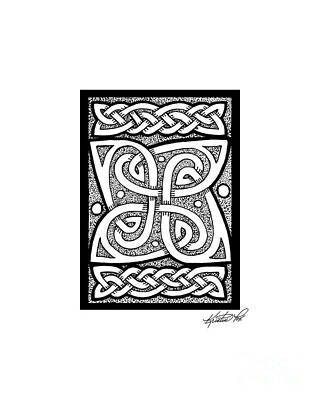 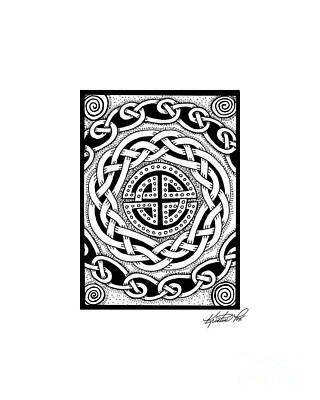 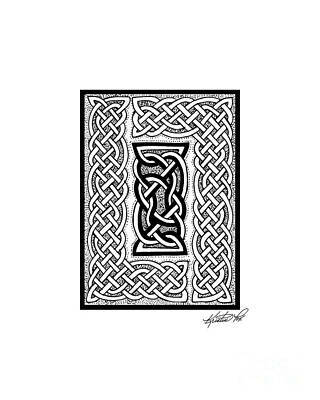 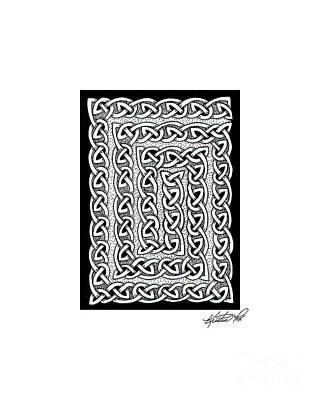 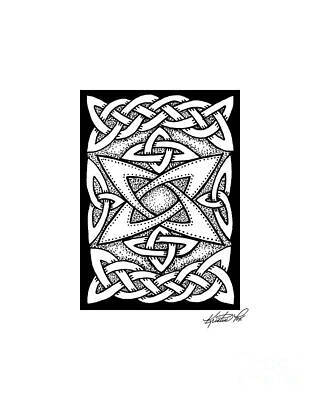 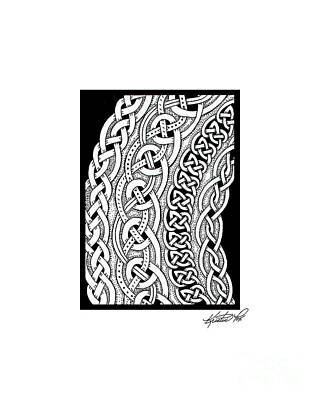 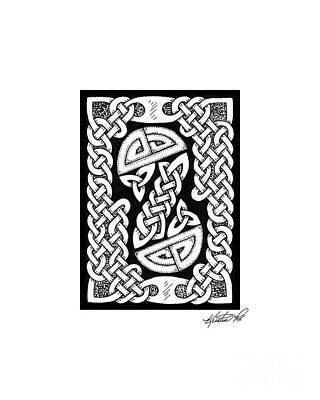 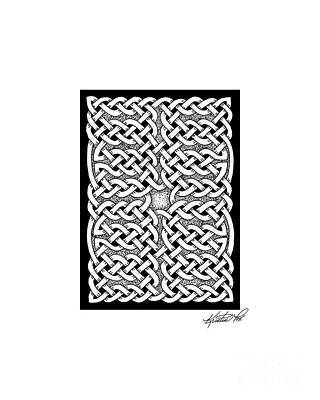 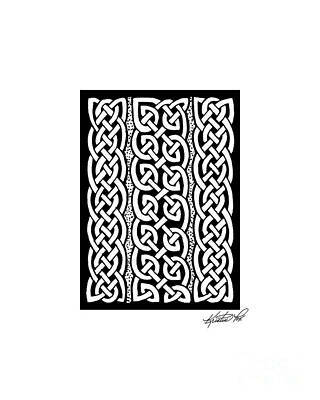 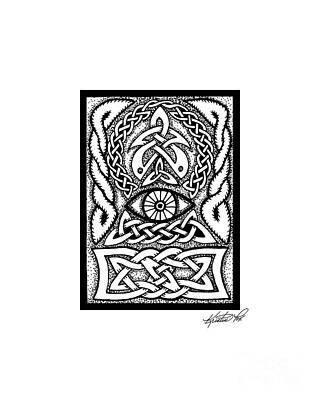 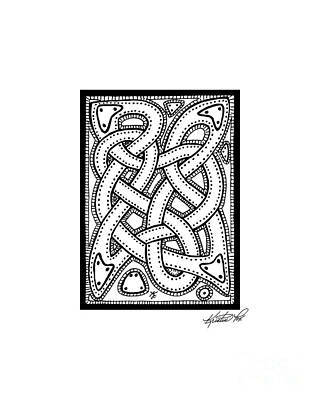 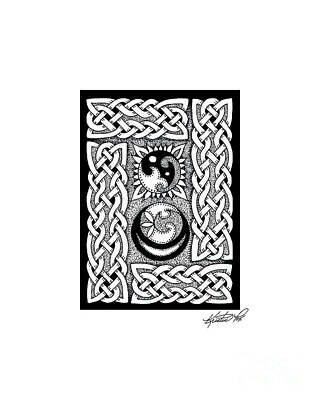 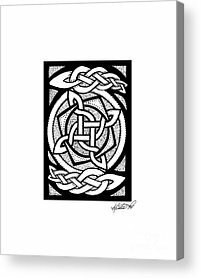 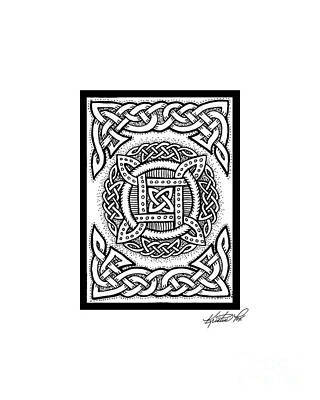 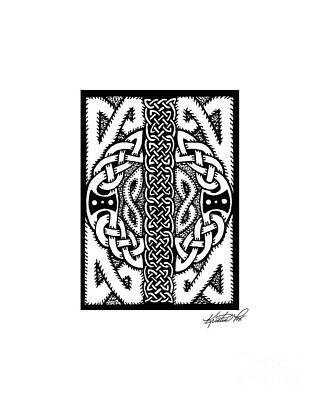 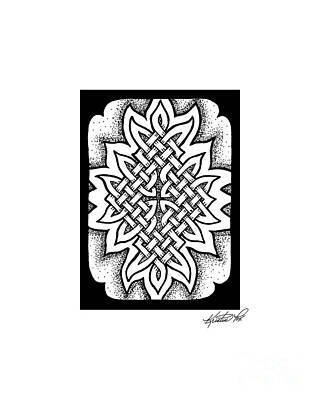 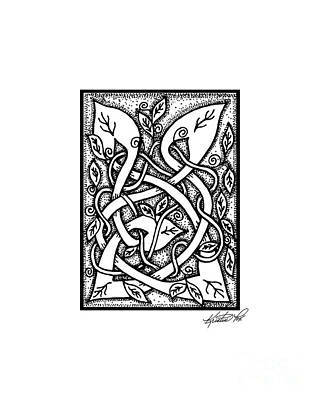 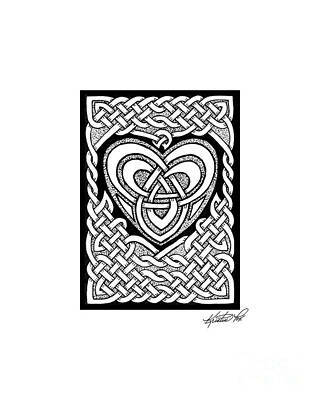 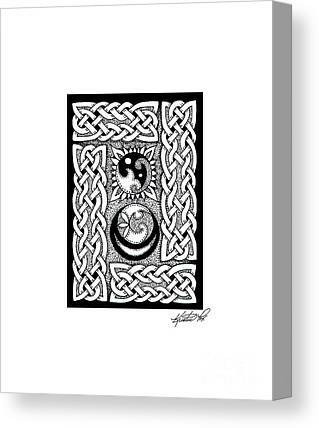 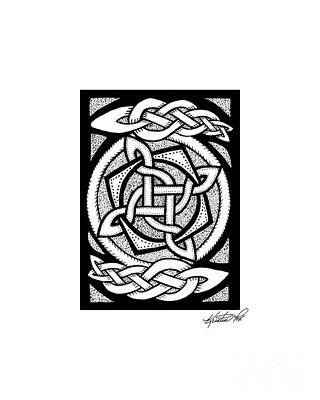 I've created a set of Celtic knotwork cards, hand-drawn and inked in black, in this small format and made them available as fine art prints with a large white border. 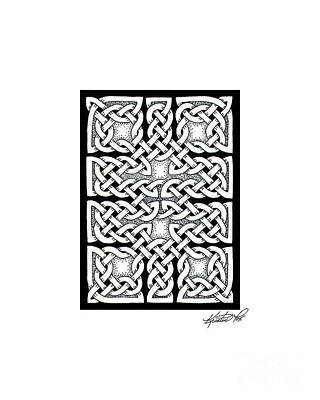 The smaller size and striking black and white palette lets them dress up any room, no matter what the size. 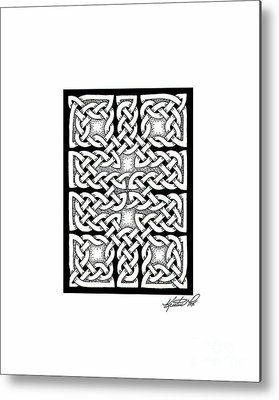 Or buy a number of them and group them on your wall for even greater impact!